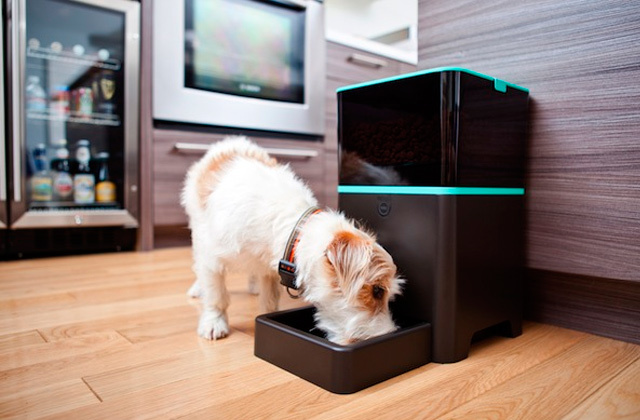 Thanks to night mode, you can configure the device so that your pet can't leave the house at night - a very convenient solution that is very precisely controlled using the built-in light sensor. A bit difficult to programme. This model compares favorably with most analogs in that it can work not only from batteries but also from the network. This is especially true for owners of active cats because you no longer need to worry about the batteries being drained and not allowing your pet to get into the house. The presence of an LCD display and control panel makes operation of the door even more convenient: an intuitive notation and informative instructions will help everyone who wants to understand how to program chips and set time limits. It has a very loud CLICK sound. This model from Sureflap is suitable for people for whom their cat does not have a chip implanted under the skin: along with the device, an RFID collar tag is already attached for fixing it on the collar of the animal. By the way, the chip scanner reads information quickly and accurately. The door is securely fixed to the frame with the help of two latches at once, which completely exclude the possibility of unauthorized access of extraneous pets (not entered into the memory). By the way, here you can save up to 40 unique chips. Allows a lot of cold air draft to come through. If your cat is quite massive and you are looking for a reliable door that will truly serve for many years, then we recommend making a choice in favor of this model: the reinforced frame withstands the weight of a cat as much as 8 kg and is able to withstand thousands of penetrations. 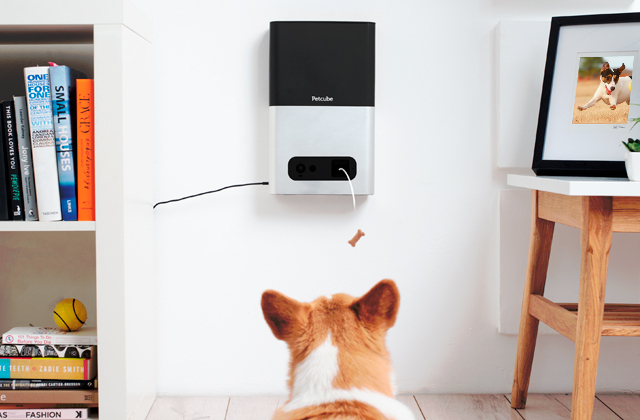 The device is powered by 4 x AA batteries, which are easily enough for up to a year of active use by 1-2 pets: this solution will appeal to people who do not have access to a power outlet near the planned location of the door. Screws in the set should be replaced by more durable types. This door is designed for owners of small cats (with a body width of less than 14 cm). And the design itself has compact dimensions, so it will not be easily noticeable and attract intruders. The design provides the ability to mount the door anywhere: in wood, iron or PVC door, as well as in the wall and even in the window (single and double glazed). Screws and cutting template are also included. According to users, the battery lasts for a short time. Cat Mate has released an advanced door for installation in regions where torrential rains or snow often fall: additional sealing minimizes the risk of drafts and moisture entering the dwelling, even if your cat decides to go outside. Cat owners know how difficult it can be to keep aware of your cat's location at all times. Cats tend to be pretty sneaky, often running off and hiding for apparently no reason at all, and of course, they never like being confined to a small area. That's why it is important for many cat owners to be able to keep track of their cat even when they are outdoors. Being able to ensure your beloved pet's safety is a primary concern for any pet owner, and having a good cat flap is part of that equation. 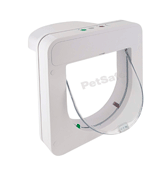 The PetSafe 82690 Petporte Smart Flap Microchip Cat Door is a great cat flap that lets you keep track of your cat. 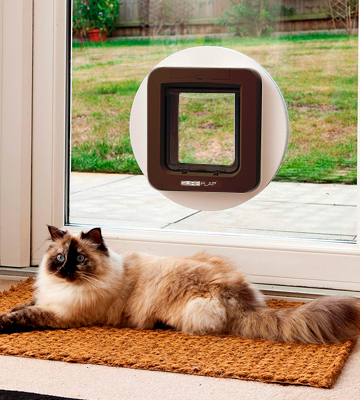 This microchip cat flap can keep tabs on your cat while it is out and about, and allows easy and safe passage for your cat to enter and exit as it pleases without worries of your home having an open entrance for unwanted guests. 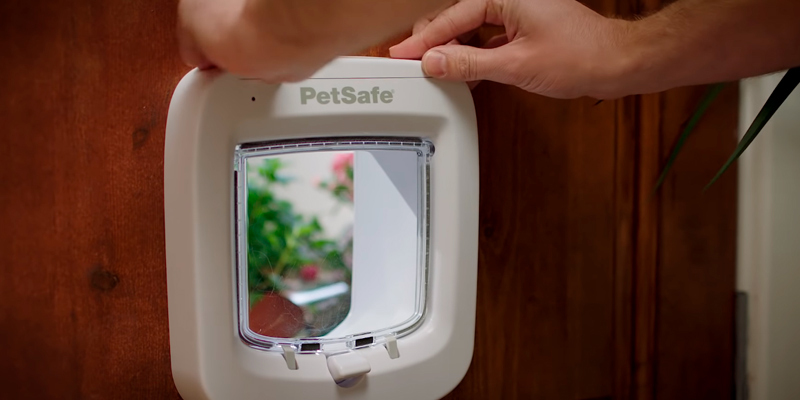 This cat flap works with the standard FDX-B microchip implant that most vets use, meaning that your cat doesn't need a collar in order to be tracked, just as long as it has the microchip implant. The Petporte smart flap will automatically detect your cat's microchip implant and use its identification to unlock the flap for your cat, while keeping it locked for other animals that it doesn't recognise. One of the problems with cat flaps is that many of them tend to be a bit difficult to install. Not so with this model, thankfully. 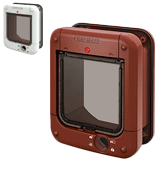 This electronic cat flap can be installed with a minimum of fuss and is suitable for installation in doors, walls, or windows, whichever of these you prefer and is most convenient for you. If the materials of your installation location are of a concern, there is no need to worry, as this cat flap works equally well when installed in wood, metal, or even glass. If you already use a Staywell Deluxe or Classic cat flap, this model can very easily replace the existing one without needing to make alterations. Along with the easy installation, this cat flap has plenty of other features on offer. The Night Mode lets you keep your cat indoors at night by using a built-in light sensor to detect dusk, making the flap work only while coming inside. This helps keep your cats safely indoors at night when other predators are often most active. The Vet Mode works by doing the same thing, but at a specified time, such as when you need to take your cat to the vet. There are also extended modes that let you customise the access to match your cat's routines. 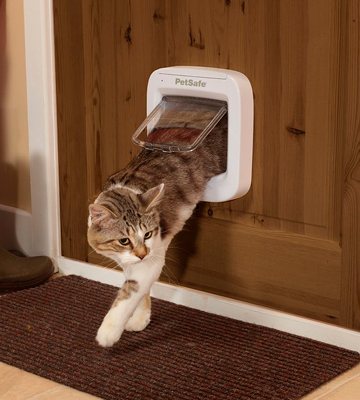 All in all, this microchip cat flap is the perfect way for ensuring the safety and happiness of your furry feline. Although cat flaps can be great for cats, many of them have a huge drawback. As well as allowing your cat to freely enter and exit your home, they also allow other animals to enter your home as well. Stray cats are everywhere, and many of them are not hesitant to enter someone's home uninvited, not to mention other wild animals such as raccoons, possums, and other small rodents that are all known for making their way into people's homes. Having a cat flap that can keep out uninvited guests while still allowing your cat to roam freely is ideal for all cat owners who let their cats outside. 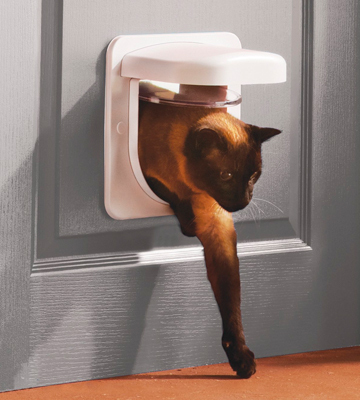 The SureFlap 5060180390297 Microchip Pet Door ensures the safety and security of both your cat and your home by being able to identify your cat in order to let it in and out while still keeping out unwanted guests. 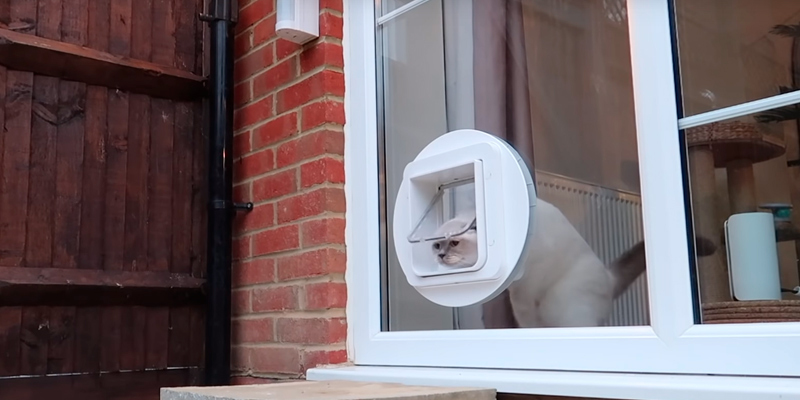 This microchip cat flap is actually designed not just for cats, but for dogs too, so if you have both cats and dogs that need to enter and exit freely, you won't be stuck with having to have two different doors for them. This cat flap is compatible with all microchips and RFID collar tags that are commonly used for identifying pets, so no matter which one you use, the cat flap should recognise and identify your pets without any problems. As this smart cat flap is compatible with all implanted microchips and RFID pet collars, its universal compatibility also extends to where it can be installed. 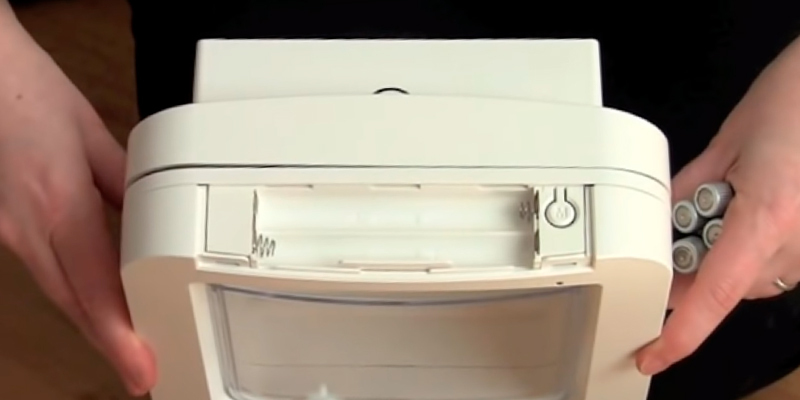 Installation of this pet door can be done in doors, walls, or even windows, and the device comes with three different sets of screws that give you the choice of where to install it. The user manual that is included with it gives clear instructions on installation, so even a novice should be able to install it without much difficulty. Just keep in mind, though, that installing in windows is much more difficult than in other areas, so a professional may be the best choice for installing in this location. 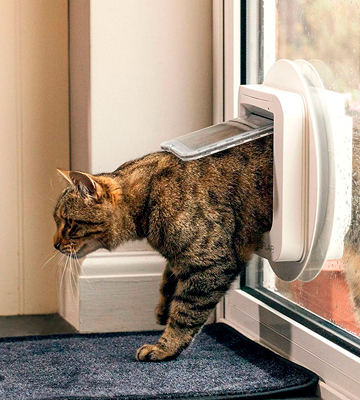 As far as the extra features of this cat flap go, this model is certainly not lacking. 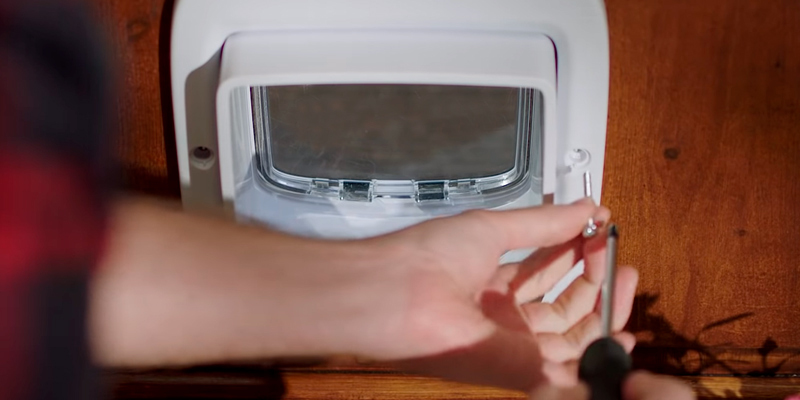 The cat flap includes the ability to be programmed to automatically lock and unlock the flap at specified times of the day, so those who want to ensure that their pets stay indoors at night won't have to worry about manually locking the flap. This electronic cat flap is powered by 4 C batteries (not included), which will power the device for about a year before needing to be replaced. There is even an RFID collar tag included with the flap if you have a pet that doesn't already have a microchip or RFID tag for its collar. 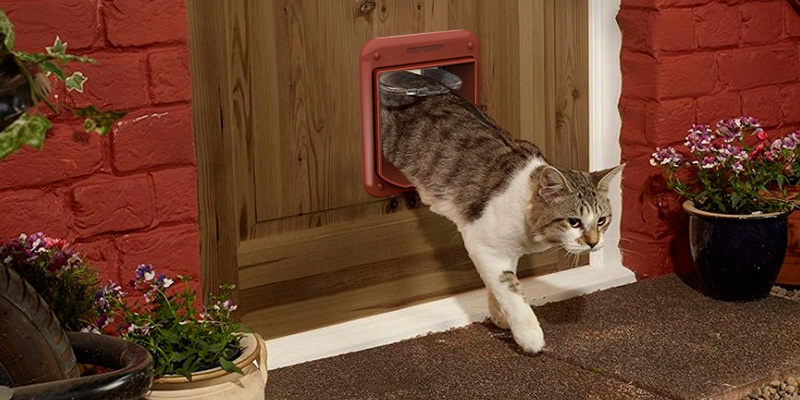 All told, this cat flap is perfect for those who have both cats and dogs that would utilise it. Many of the cat flaps on the market tend to be made for average-sized cats. An average-sized cat is not very big, and as cats can often squeeze through tight spaces, many cat flaps are made just large enough for a cat to squeeze through. 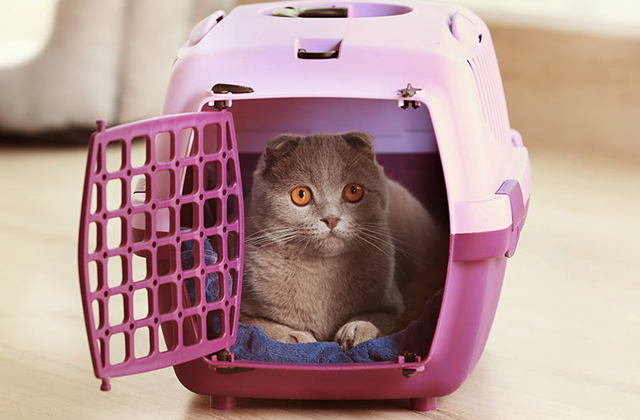 However, this presents a problem for many larger cats, as squeezing through such a tight space can be uncomfortable for them, and not to mention dangerous in situations where their collar may get stuck while going through the flap. 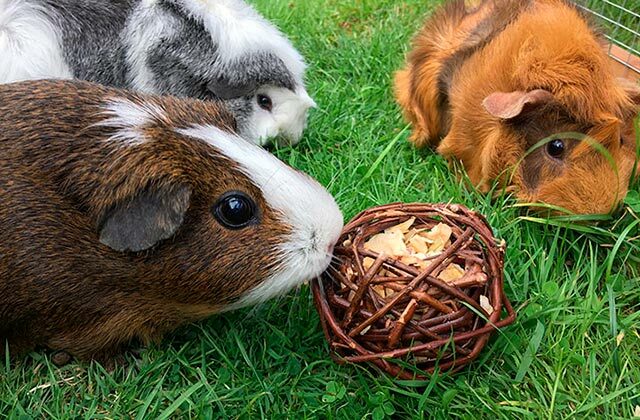 As pet owners are obviously concerned about the safety and comfort of their pets, it is best to find one that is large enough for their pet to go through comfortably, all while maintaining their home's security. 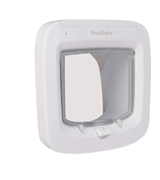 The PetSafe PPA19-16687 Microchip Cat Flap has been designed for cats of all sizes to go through the flap comfortably and safely. This large cat flap also uses two large latches as a locking mechanism, ensuring that the flap remains securely locked and preventing larger animals from forcing their way through it. The durable plastic frame of the device also ensures that it remains operational and in good condition throughout its lifespan, while retaining pleasant aesthetics that should match the interior of any home. A concern about electronic cat flaps is whether or not it is compatible with your pet's microchip implants. With this device, there is no need to be concerned, as it is compatible with the most common microchips. What's more, this cat flap also is able to recognize a large array of different microchip identifiers at once, as it supports up to 40 different ones. This means that homes that have more than one cat won't have to worry about the device not being able to identify the microchips of each one. Along with its great microchip compatibility, this device can be installed in most doors, walls, or windows. 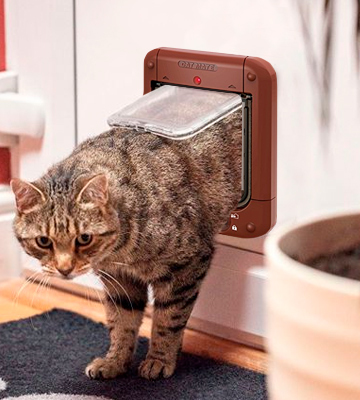 Along with that, those that have used Staywell or Microchip Petporte cat flaps before can very easily replace their older cat flap with this model, as it is compatible with the cutouts for those kinds of flaps. The only issue to be aware of in regards to this is that the flap does tend to let draughts into the house, so it may be best to install it in a location that is less prone to them. The device is powered by 4 AA batteries that have an expected lifespan of 12 months, so there is no need to worry about constantly replacing batteries. As it stands, this device is probably the best microchip cat flap for those with large cats and will keep your cat and home safe and happy. Cats are always intrigued by small spaces. Anyone who has a box near a cat will inevitably see the cat jump into the box. Even those with standing dressers or desks with drawers have probably seen cats jump into an opened drawer. Basically, if you have a cat and want to to be intrigued by entering or exiting your home, then having a small-sized cat flap is just the trick for them to want to come and go. A smaller flap can pique their curiosity as well as be a source of comfort and safety for them, especially for cats who spend a lot of time outside but need to retreat to the safety of home from time to time. 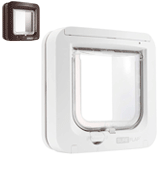 The SureFlap SUR001 Cat Flap with Microchip Identification is a great cat flap that is sure to attract the attention of your cats. Along with this, the cat flap also ensures their safety by preventing other animals from entering your home, giving your cat the safe space that it needs. 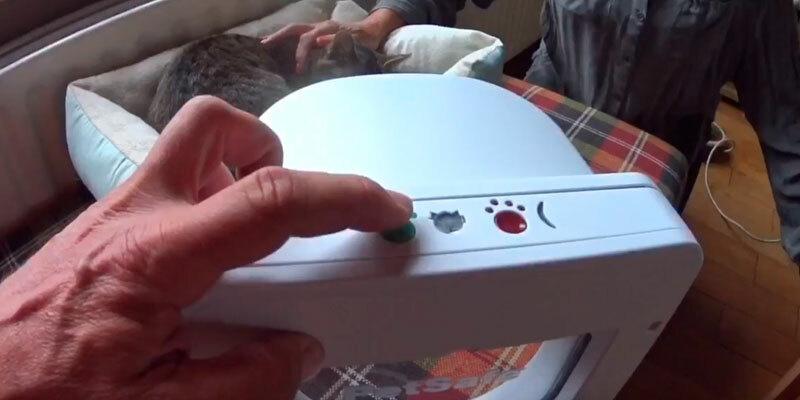 The microchip identification of this cat flap works with almost all microchips and RFID collar tags, so even if your cat doesn't have a microchip implanted, it can still use a collar tag for identification. Those who have more than one cat will be pleased to know that this device supports up to 32 different pets, all complete with one button programming. A problem many people encounter with a new cat flap is not knowing the best place to install it. This, of course, comes down to personal preference along with the characteristics of each home. Thankfully, this cat flap can be installed virtually anywhere, as it supports installation in doors, walls, and even windows. Accessories are available that allow you to install it in tricky areas such as a UVPC door or a double glazed door, so there is virtually no limit on where you can install it. 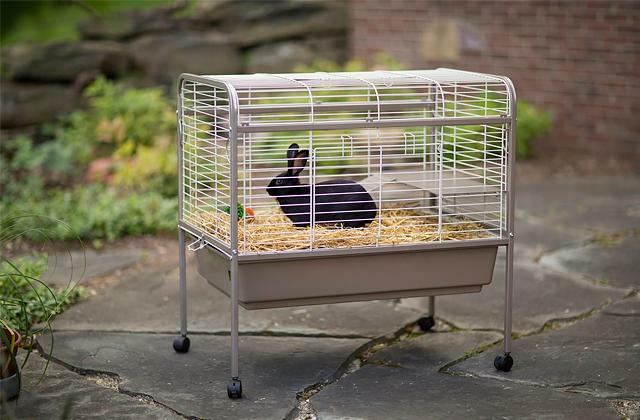 This allows for great flexibility in installing it in the best area for both you and your cats. This particular cat flap is quite secure, as it uses a strong locking mechanism that will prevent animals of any size from entering your home. Along with that, the device is powered by 4 AA batteries, which should last for up to 12 months before needing replacement. One small drawback with this particular model is that the included screws may not be ideal for installing in some places, but they are of standard sizes and can be easily replaced with stronger ones. 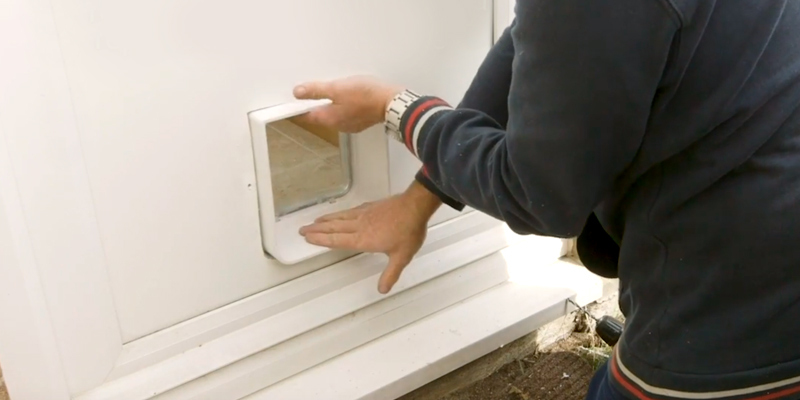 Despite this small drawback, this electronic cat flap will last you for a long time and help ensure the safety and comfort of not only your pets but your home on the whole. There are tons of cat flaps on the market, all ranging in price, quality and features. Of course, most people want the highest quality cat flap available, but at the same time, they don't want to pay an arm and a leg for it. A high-quality cat flap is a necessity, though, as having one that is made of poor quality materials can end up not being very durable, and as such, can severely compromise the safety and security of your home. If you are needing a high-quality cat flap that is also not extremely expensive, then you should definitely consider the Cat Mate 110413 Microchip Cat Flap. This smart cat flap is made using high-quality materials, along with careful UK manufacturing, ensuring that this cat flap will last for a long time. 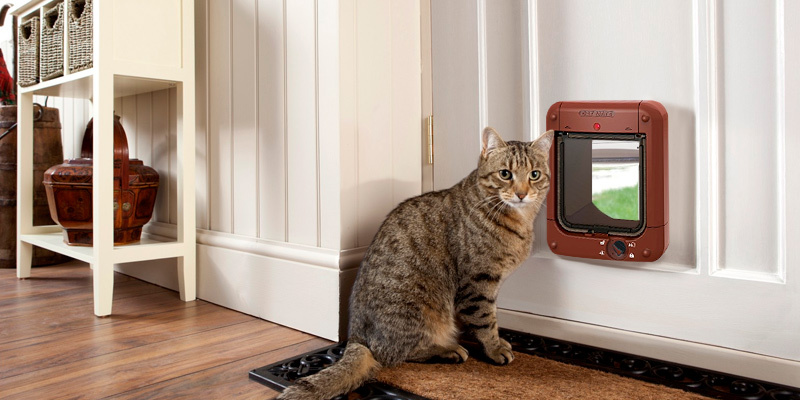 This strong and durable electronic cat flap offers a high level of security and safety both for your cat and your home by being able to recognise your cat's implanted microchip in order to allow it entry, while maintaining a strong automatic lock to keep out other stray or wild animals. This product is compatible with most of the common pet microchip implants, so no matter which one is implanted in your cat, this device should be easily chip activated once it has been programmed to do so. As mentioned before, the durability of this cat flap is exceptional and surpasses that of many other electronic cat flaps on the market. Along with its high-quality materials, it features a 4-way rotary lock which keeps the flap strongly secured. This ensures that even large and strong animals are not able to brute force their way through the flap. When your cat is near the flap, it will instantly recognise the implanted microchip and allow access just for your cat. If your cat doesn't have a microchip, this flap can also work with a unique Cat Mate I.D. Disc that can be attached to your pet's collar. Installation of this cat flap is similar to that of most other models, in that it can be installed in convenient locations such as doors, walls, or windows. The seal of the flap is held by magnets, which help ensure that it maintains a tight seal while keeping out draughts. The device is powered by 4 AA batteries which should last for approximately one year, and an LED indicator on the device will flash whenever the batteries start running low, indicating when it is time to replace them. This high-quality and durable smart cat flap will ensure the safety and comfort of your cat, as well as that of your home. Many pet owners, whether they have a dog or a cat, are sure to have a door flap, or cat flap, installed in their homes. Door flaps are small doors with a flap that allow pets to enter or leave the house freely. These small doors usually lead into a fenced backyard rather than out towards the street, as most people would prefer their pets to spend their time within the confines of their property rather than running around freely. Not that this will stop a cat who is hell-bent on leaving the property, of course, but most cats with a sizable yard will keep themselves within it, especially after some training. A microchip cat flap is the same thing as a door flap, but this device is a bit more high-tech in that it contains a microchip tracker that helps keep track of your pet's whereabouts. These especially work handily for people who have chips implanted in their pets. The technology inside of a microchip cat flap can often keep track of more than one pet, letting the owner know whether it is inside or outside of the house. This is quite useful for people who need to know where their pets are so they won't be locked inside or outside of the house. 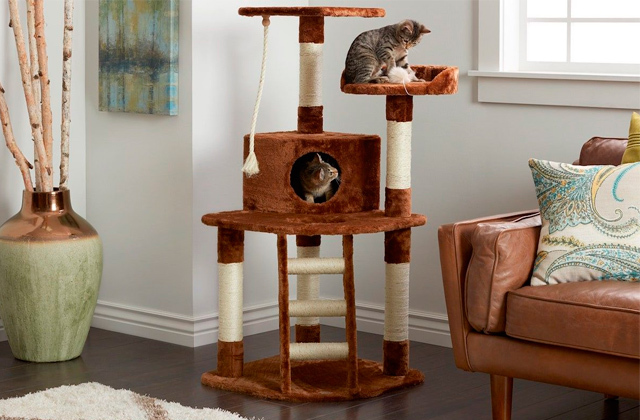 If you are looking for some additional accessories for your furry little feline friend, take a look at our reviews of the best cat houses and cat trees. Finding the best microchip cat flap for your pet will mostly come down to a few certain characteristics of the device. As cats or other pets can vary greatly between each other, you will want to make sure that the microchip cat flap you choose is going to be the right model for your pet. This is especially true if you have more than one cat, or other pets who might also use the flap. Below are some of the characteristics to be aware of when choosing a microchip cat flap. Cats (and other pets) come in many shapes and sizes, so it is important to find a cat flap that will allow your cat or other pets to safely and comfortably enter or exit the house. 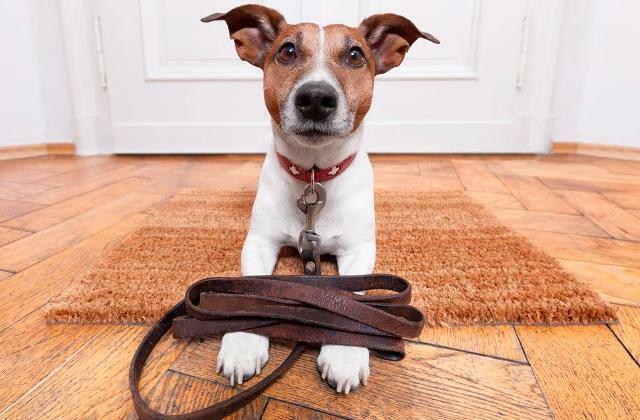 Make sure that the flap is not too tight so that your pet won't have to strain itself to open the flap, and also make sure it isn't too small so that it doesn't have to squeeze its way in or out. 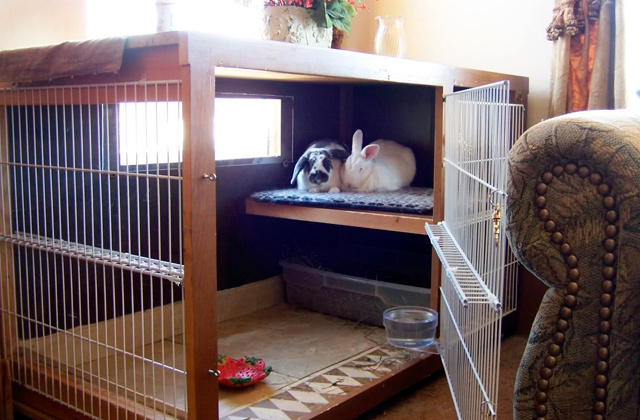 Finding one that is the perfect size for your pets will make both you and your pets happy. 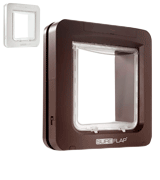 Microchip cat flaps are devices that are usually installed into doorways or windows. As such, you will need to make sure that the model you choose can be safely and easily installed in your home. If you have a sliding glass door that leads to your backyard, you will want to find a model that will fit your particular door well. If you have a regular hinged door or a window that your pet will use to enter and exit the house, make sure the cat flap will fit easily in whichever area you install it. This characteristic is especially important for people who have more than one pet who will be using the cat flap. 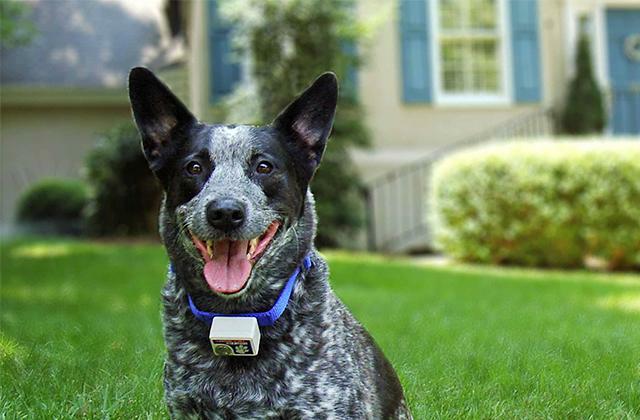 Whichever model you choose, you will want to make sure it is able to track all of your pets separately, and that it is compatible with the type of microchip that is implanted in your pet. As these devices require power in order to properly track your pets, make sure that you will be able to use the appropriate power source for the model of a cat flap that you choose. Most microchip cat flaps are battery operated, but if you prefer one to work through the mains instead, make sure that the model you choose supports it. The extra features included with a microchip cat flap are no less important than the other characteristics. Many of the extra features included in different models include timers, automated and/or manual locks, or even LCD displays that all work together to help you keep track of your pets. Whichever of the features that you will want for your cat flap, make sure that the model you choose has them. Getting a microchip implanted in pets has become a trend in recent years, and for good reason. Microchip implants are a great way for pets to have some kind of identification without having to rely on a collar. What's more, a microchip implant allows for methods of identification of pets that are much better than visual ID, for a number of reasons. Visual IDs can often become lost or worn out, making identification of a pet much more difficult. Having a microchip implant allows for pet owners as well as the authorities and veterinarians to easily and quickly identify a pet. Despite the numerous advantages provided by microchip implants, some people remain concerned about this method of identification. Some people may be concerned that a microchip doesn't offer any visual identification, instead requiring some kind of device, and others are concerned about the health and comfort aspects of microchips being implanted in a pet. If you are new to pet microchip implants and have some questions or concerns about them, read on for some information that should help you determine if your pet would benefit from one. Having a microchip implanted in your pet is pretty straight-forward, and is something that is offered by many vets around the world. 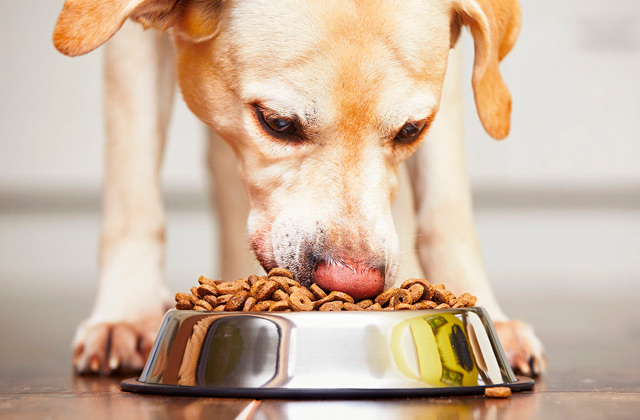 The microchips that are commonly implanted in pets are quite small, being approximately the size of a grain of rice. These implants use Radio Frequency Identification (RFID for short) to give identification information about the pet. With cats, the microchips are usually implanted just under the skin on the back of the neck, which is a convenient place that is also comfortable and virtually unnoticeable by the animal. The chips are injected by a syringe, with the process being quite quick, and with almost no pain or discomfort to the pet. Animals that have microchip implants are able to be quickly and easily identified by police, animal shelters, and veterinarians by use of an RFID scanner. 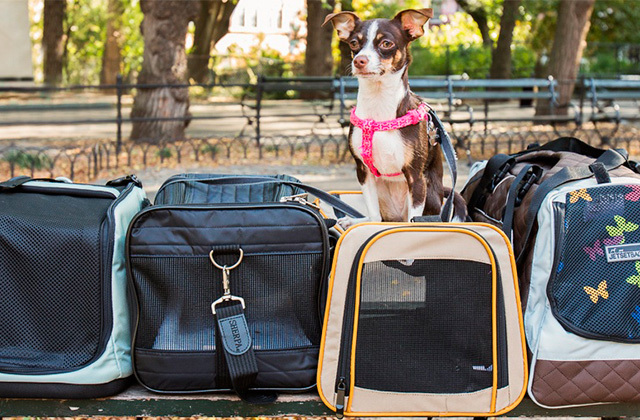 This allows for the pet to be identified and safely returned to its owner. The chips that are implanted will contain information including the name of the pet, the owner's contact information, the pet's description, and an alternate emergency contact number for the owner to be contacted quickly in case of an emergency. There are a great many benefits to having a microchip ID implanted in your pet, as listed above. Should your pet become lost, a microchip implant allows for animal shelters, animal control, and vets to quickly identify and return the pet. Also, microchip implants do not wear out or become lost, meaning that your pet can easily be identified throughout its life. As many pets do not like wearing collars, this allows for a pet to live comfortably without a collar while still being identifiable. If you are still unsure about whether or not to have a microchip ID implanted in your pet, just keep in mind that the process is quite humane, and in fact is now highly recommended by the authorities as well as most veterinarians. With a microchip implant, your pet can easily be identified by others and should allow it to live a long and happy life.